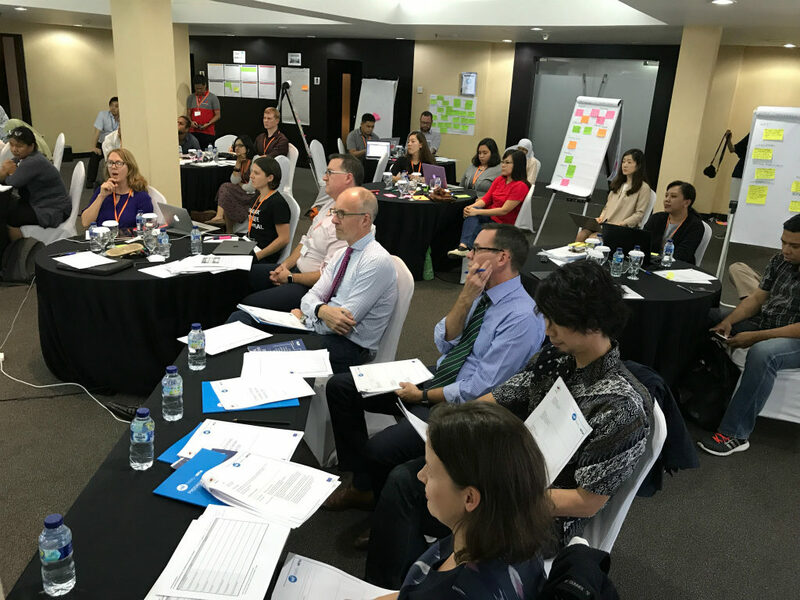 JAKARTA – May30-June2 – The first regional capacity building workshop, co-organized by ADRRN Tokyo Innovation Hub and Humanitarian Innovation Fund, was convened at The Grand Kemang Hotel in Jakarta. The objective of the workshop titled ‘Strengthening Humanitarian Innovation’ was to catalyze grassroots innovation through facilitating the understanding of local NGOs toward humanitarian innovation, and supporting them to refine their project concept. The 8 participant groups were selected from 57 applicants from all over the Asia-Pacific region based on their capacity and potential to advance humanitarian innovation. Their proposed projects covered wide range of humanitarian innovation, which extended from informal crisis coordination application using crowd-funded incentive system to online job matching system for refugees. The main components of the workshop were 1) creating ‘proposal canvas’ to think through the key points to develop early-stage concept, 2) constructing the proposal to effectively articulate your concept, and 3) presentation. 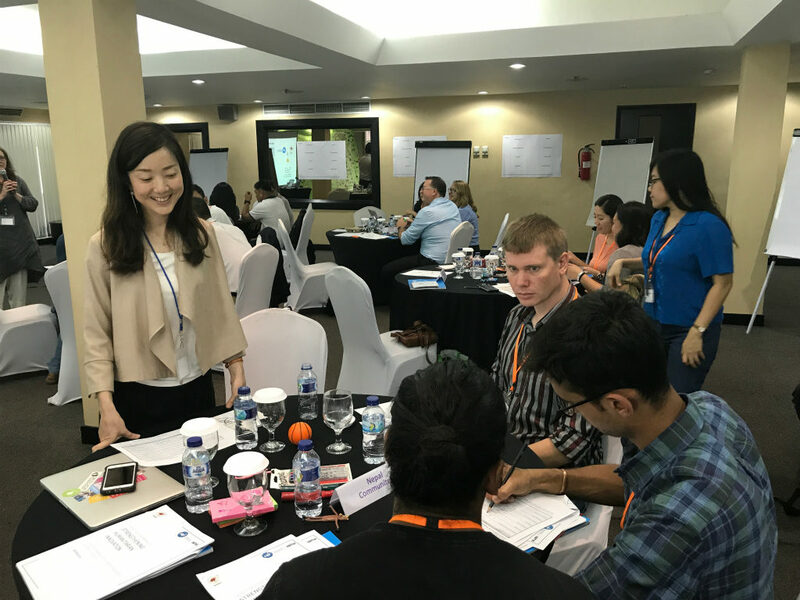 On the final day, the participants presented their proposals to the panel consisting of experts from UNOCHA, UNHCR, Global Pulse Lab Jakarta, and a Japan-based venture capital firm. During the workshop, the participants succeeded in identifying the gap that existed in their original concept and expected humanitarian innovation standard, and worked intensively to fill the gap through group work and consultation with the other participants and experts. All participant groups are entitled to apply for the seed fund exclusively provided to the participant groups by Humanitarian Innovation Fund, and up to 5 groups will receive the fund to conduct a proof of concept by next year.